I most preferred the standard donut foams and used them for the entirety of my testing below. The BS1 Official received over 200hrs of burn-in to ensure optimal performance during final evaluation. With a modest U-shaped signature, the BS1 Official is clear yet well-balanced overall. For an earbud, it will also be a sound that will be familiar for those accustomed to similarly priced IEMs. In that sense, the BS1 Official diverges from a lot of the earbuds I’ve heard, with a more tonally neutral midrange and a forward upper-midrange that enhances clarity. What it retains, however, is pleasing warmth down low and a smoother high-end that retains air, combining the positive aspects of the earbud form-factor with a style of tuning that will be familiar and approachable to many listeners. Bass is a highlight of the BS1 Official, its low-end showcases very impressive extension for an earbud in addition to a very pleasant, organic tone. Sub-bass has greater solidity than the vast majority of earbuds I’ve tested and a modest mid-bass emphasis grants each note with a strong punch. As mid-bass feeds evenly from sub-bass, it sounds less humped than most mid-bass focussed earbuds, thereby achieving a considerably more natural presentation. This is rounded off with a more neutral upper-bass tuning that avoids congestion and chestiness, a common issue with budget earbuds pursuing fullness. Bass spill is effectively mitigated and this decision permits a more transparent midrange. The BS1 Official doesn’t have the most defined low-end I’ve experienced, a result of its fuller tuning that introduces larger notes with some bloat, however, it is tight and well controlled. Bass speed is admirable and though notes are bolder and richer than neutral, fine details aren’t smeared over and bass remains nicely defined all considered. The BS1, therefore, impresses through its tone, depth and tight punch, it’s a very ear-pleasing sound that will find wide appeal. A lot of the BS1’s appeal also stems from its midrange which is clear and fairy neutrally toned with just hints of warmth introduced via its enhanced mid-bass. 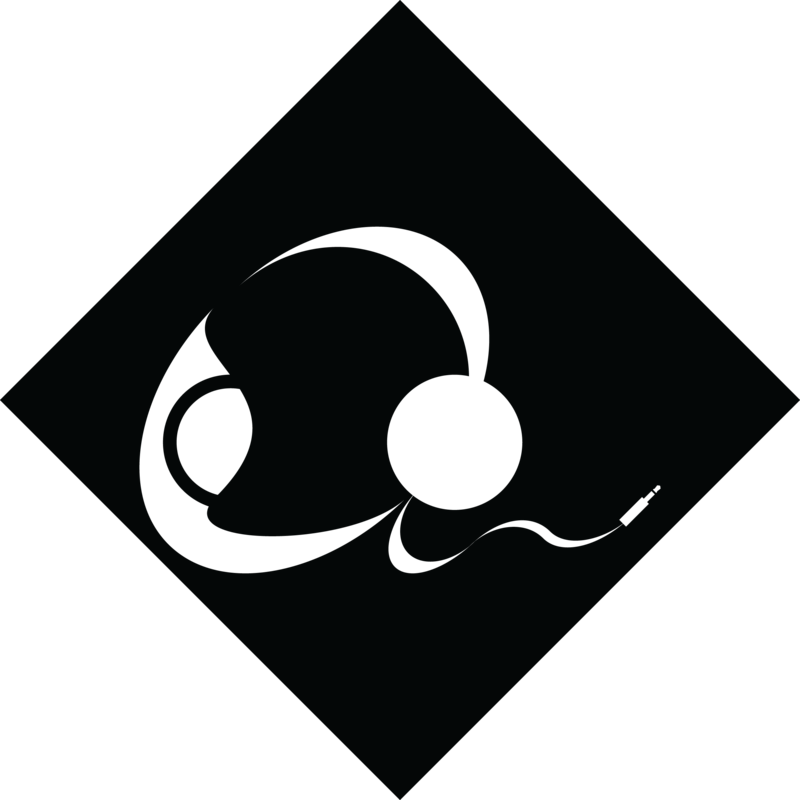 This character is achieved mainly through its more neutral upper-bass and lower-midrange tuning that heightens bass/midrange separation. In addition, the BS1 Official has a modest vocal push through the centre midrange and climbs into an emphasized upper-midrange, providing great clarity and openness. This produces a sound that slightly biases vocals, bringing them more in-line with its more prominent bass. Combined with their enhanced clarity, vocals are never overshadowed though they do lack a touch of density compared to more linear earbuds. Similarly, male vocals can sound slightly thin on certain tracks due to the earbud’s lower-midrange attenuation, however, they are prominent and well-defined. Female vocals are also considerably more refined and smoother in their presentation; aided by a restrained lower-treble that avoids exacerbating sibilance and over-articulation, further aiding a natural midrange voicing. Though undeniably brighter than neutral, upper-mids aren’t over-forward and adequate body is retained. As it isn’t perfectly linear, midrange timbre isn’t spot-on, however, the BS1 is clear but not raspy, lightly warm but not congested and nicely refined with a smoother upper-midrange. The BS1 Official’s high-end is more restrained, lower-treble is on the smoother side while middle-treble has an uptick of quantity to imbue air and atmosphere. Due to its forward upper-midrange, the BS1 Official retains pleasing detail presence, it lacks the acute attack of similarly priced IEMs but delivers an organic instrument body and smooth texture that doesn’t wear on the ear over time. It does so while upholding nice detail retrieval that’s in-line with the better performing earbuds around this price. Its middle treble emphasis imbues a more pristine instrument presentation while aiding resolution of the highest instruments. As a result, it doesn’t sound truncated as some earbuds do, rather sounding quite open. While some earbuds utilise dual dynamic or hybrid driver configurations to achieve an extended high-end, the BS1 does a fine job with just a single dynamic driver. It doesn’t provide the same level of resolution as the Astrotec earbuds, though extension is higher than Shozy’s earbuds to give an example. Still, the BS1 Official is not for those searching for something analytical and detail forward, it’s high-end is rather a nice complement to the rest of its sound while upholding higher resolving power. The BS1 Official produces a nicely spacious stage on account of its well-extended, airy sound. Its stage stretches just beyond the head in both width and depth, providing a well-rounded presentation. Imaging is quite good though lower-treble can occasionally sound slightly muted. Its midrange isn’t especially layered and separation is just above average due to its generally warmer sound. That said, the BS1 Official has great separation between its bass/midrange which is a huge asset as most competitors succumb to some congestion and tubbiness in this region. The BS1 Official has a high 120dB sensitivity and modest 32ohm impedance. It’s sensitivity is above average, reaching very high volumes from portable sources. However, the BS1 Official benefits from a dedicated source, especially its low-end that can become flabby from sources with low current output. Switching from my HTC U11 to iBasso’s immensely powerful DX200 with AMP5 module yielded immediately greater low-end control, tighter impact and greater separation. The earbuds midrange became cleaner and smoother and its high-end more extended, delivering a larger soundstage. Though perfectly at home from a better smartphone such as flagship HTC’s and iPhones, the BS1 Official scales nicely from dedicated sources. Users of the LG V30 and later G-series phones will likely have no trouble driving this earbud that said. Penon BS1 Experience ($60): The precursor to the BS1 Official, the Experience offers a similar but scaled down experience in practically all regards. Its cable is very soft, but prone to hardening down the line and it demonstrates significantly less refinement in its finish. Sonically, the Official is a little more v-shaped though the difference is not huge. The Official has significantly more bass extension combined with greater control. The Official has a slightly more recessed midrange, but it has greater clarity while simultaneously sounding smoother. This is so as the Experience has a little more lower-treble emphasis. However, as it is less linear with its upper-midrange, it sounds thin with the Official being more detailed. The Official also extends further up top, delivering higher resolution and greater air. It has a grander soundstage with greater separation. Shozy Cygnus ($90): The Cygnus is more V-shaped with a warmer midrange. It has significantly less bass extension with more mid-bass focus. It is less bass emphasized overall but has a little more upper-bass that imbues fullness. Its lower-midrange is recessed and its upper-midrange is similarly forward, producing a similarly separated bass/midrange with nice clarity. The BS1 Official is more transparent due to its lesser upper-bass, it is also clearer and cleaner where the Cygnus is slightly more organic. The Cygnus is a touch more natural, but its male vocals are also more recessed. The Cygnus has more lower-treble presence, it’s crisper but also a touch thinner. Both are similarly well-detailed with the Cygnus being more aggressive in its presentation. The BS1 Official extends much further up top with the Cygnus sounding a little truncated. As such, the BS1 also has the larger soundstage and a lot more air. Rose Masya ($110): The Masya is even thinner and brighter as it sustains its upper-midrange emphasis into its treble. Despite its dual driver setup, the shallower fitting Masya’s bass doesn’t extend as well. The BS1 Official is warmer, it has more sub and mid-bass emphasis, producing a fuller presentation with greater punch and a more aggressive texture. The Masya has a thinner, brighter midrange. It is more articulated with greater clarity. Though the BS1 Official has more laid-back vocals, they’re more accurately bodied, smoother and more natural. The Maysa has more lower-treble emphasis, producing crisper instrumentation. It’s slightly more detailed but also thin. The Masya also has a middle treble emphasis and extends just as well, however, its background can sound over-bright. The Masya has a larger soundstage with greater separation at the cost of coherence due to its thin, bright sound. The BS1 Official is more stable and has better imaging. Shozy BK ($160): The BK is more linear and balanced with more realistic timbre. The BS1 Experience has better sub-bass extension and greater bass emphasis. It delivers far more bass impact. The BK has slightly more upper-bass where the BS1 has a dip in its upper-bass. The BK therefore delivers a warmer, fuller midrange, especially noticeably through its slight lower-midrange colouration. Contrarily, the BS1’s midrange is cleaner, more separated but male vocals are slightly thin. The BS1 has a brighter upper-midrange where the BK has more vocal presence and more wholly resolved notes. The BS1 is a little less detail up top compounded by its lesser lower-treble emphasis. The BK brings intricacies to the fore with its crisper presentation. However, the BS1 reciprocates with greater middle treble emphasis and a little more extension that contribute to a noticeably airier sound. Accordingly, the BS1 provides a larger stage than the BK. On the flipside, the more balanced, linear BK images better and its layers are more defined. Astrotec Lyra Classic ($170): The Lyra Classic is more mid-forward with an almost neutral tone. It has considerably less bass presence in addition to less extension. Most notably, the Classic has less mid-bass, making it cleaner and more neutral in tone and also more defined. The BS1 is much more dynamic with greater punch and slam. The Lyra Classic has a more forward midrange, the BS1 is slightly clearer due to its greater upper-midrange presence, it has slightly less body due to less linearity and lower-midrange presence. The Lyra Classic has slightly more lower-treble quantity producing a crisper detail presentation. On the contrary, the BS1 has more organic treble instrumentation. Both extend well delivering high resolution for an earbud. The BS1 has more spacious soundstage where the Lyra Classic has better imaging, layering and separation on account of its more linear, neutrally toned sound. Astrotec Lyra Collection ($300): The Lyra Collection is another earbud I praised for its organic sound, however, in addition to being slightly more balanced overall, the key difference between the two lies with regards to treble and upper-bass. The Lyra Collection doesn’t extend as far in the sub-bass, it a touch less mid-bass emphasis but also has an elevated upper-bass. That said, its bass is noticeably more controlled with higher definition and detail. Still, due to its tuning, its bass and midrange are less separated, producing fuller, warmer vocals. This is exacerbated by a slight dip near the bottom of its upper-midrange that creates a denser vocal reconstruction where the BS1 sounds thinner but also substantially clearer and more open. Still, the Lyra Collection is not veiled as it has plenty of centre midrange, and less recessed vocals as a result, in addition to some upper-midrange emphasis approaching treble that imbues clarity. It is less transparent, but also more natural and wholly resolved. The Lyra Collection has slightly more lower-treble, it is a lot more detailed and extends further, delivering higher resolution and a more natural sense of air. It has a cleaner background and a significantly more spacious stage with better layering and imaging. The more neutrally toned BS1 has better separation besides its low-end that is slightly more bloated. I keep coming back to the descriptor “pleasant” because that perfectly encapsulates the BS1 Official’s sound, it’s simply easy on the ear and easy to enjoy. It’s low-end is warm and punchy with excellent depth yet it remains well separated from its clear yet smooth midrange. The BS1’s high-end may divide some listeners, however. It’s well-detailed but its smooth presentation doesn’t flatter certain genres such as rock that benefit from more aggression. In addition, its soundstage, though spacious, is not especially layered. Still, the BS1 Official finds great appeal through its dynamic low-end and clean midrange that will appeal to both earbud and IEM users. Its excellent cable and build quality round off a strong overall experience. The Porta Pro Yaxi Pads can be purchased from Penon Official for $99 USD or $109 USD with a balanced connector. I am not affiliated with Penon Audio and receive no earnings from purchases through this link.